Would you like a signed copy? If you please let me know on your order together with any special instructions you may have regarding the inscription you would like. This book is also available on Amazon in both paperback and Kindle versions. Amazon have a ‘Look Inside’ facility so you can have a quick read of random sections. See the video below for an outline of the book. 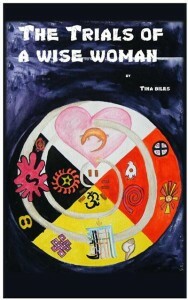 Elaine sets out on a journey of discovery and finds her spiritual path through learning of the Hopi Prophecy. Travelling through America, Tibet, Africa and Switzerland the search is on for the missing tablets to reunite them in time for the appearance of the Blue and then Red Star Kachina and the end of the world – or is it the beginning of a new world? 2012 will soon be upon us but what will come afterwards? There are many other traditions that also lead to the importance of 2012 together with the rare astrological alignments and increased sun spots that are expected around that time. These too are discovered during Elaine’s voyaging. The Hopi have agreed to send out the message of the Prophecy and it is now time for the people of the world to act upon it and change the way we live forever. If this item is out of stock at the time of your order you will be notified and advised of the delivery time.